Note: Due to an unexpected “shortcut”, some changes are made. Download Moria v1.1 below! 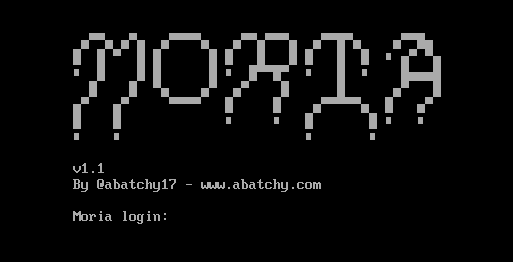 Moria is a standalone CentOS VM that is meant to be an intermediate to hard boot2root VM. To root it you’ll need solid enumeration skills, a lot of persistence and some common sense. VM has been tested on both VMware and VirtualBox, and gets its IP through DHCP, make sure you’re on the same network. It has been submitted to Vulnhub, will update it here with the new url. Special thanks to @seriousblank for helping me create it and @johnm and @cola for being adorable test bunnies. You can find me on NetSecFocus slack (join us! ), twitter or occasionally on #vulnhub for questions.